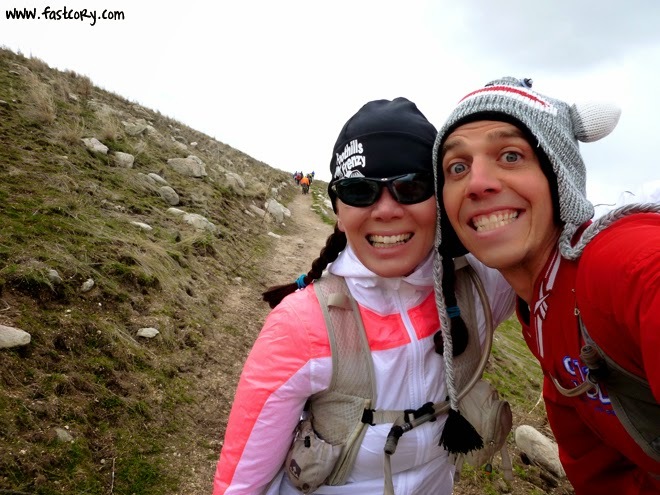 The Buffalo Run 100 miler starts at noon today!!!!!!!!!!!!!!!!! I ran this race last year also. I ran many miles of the race with my amazing friend Christie. Within the first mile we passed a buffalo that seemed to be in a bit of a bad mood. 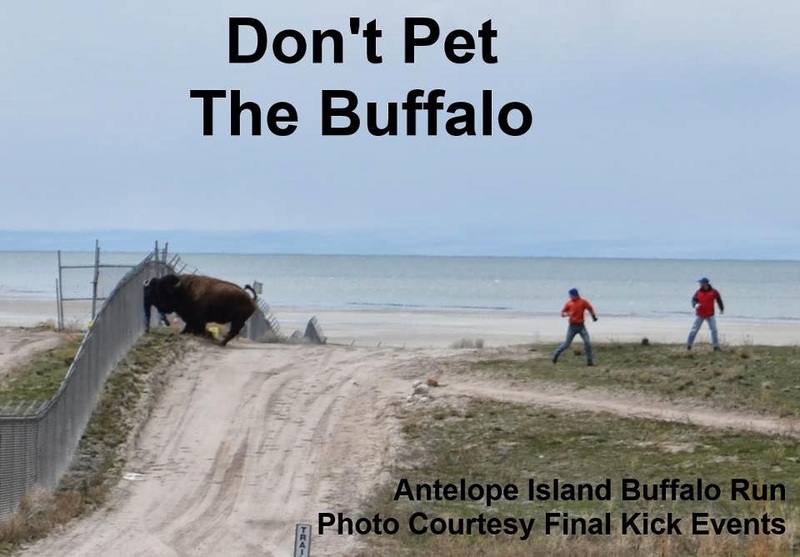 We found out later that Christie's husband Wayne caught a picture of this grumpy buffalo giving someone a very forceful love tap against a fence. Don't worry, aside from a few bruised ribs he wasn't hurt. Would you like to see this incredible picture? Great, here you go. Props to Wayne for capturing this one! 2) Anything you can find in our treat cupboard. Top shelf. Between you and me, there are a few bags of Cadbury Eggs up there. 3) If you're lucky, I think there may be some boondoggle key chains from my days as a young scout. And who doesn't love a good boondoggle key chain! 4) I'd offer our grass trimmer but that thing is such a piece of garbage that I'd have to pay you to take it. I'm calling dibs on the Cadbury eggs. BTW I hope you don't die but I wanted to get in first so I don't miss any of the good stuff. I'm calling dibs on Hootie and the Blowfish. I gotta make my claim because I know Char and she's going to try to grab it all! That's a crazy pic of the buffalo! I'm calling dibs on those twinkles that I know you have hidden somewhere! A last will is really a wise decision, so that you are sure everything is being well taken care of, for whatever unexpected event that may happen. Just like that buffalo incident! Haha! How’s the race, btw? I hope you enjoyed your day at the tracks. Cheers! I want to thank you for writing this article.This is great Article for me. It also more very informative & awesome.